Long weekend is here! Are you still trying to figure out, where to go? 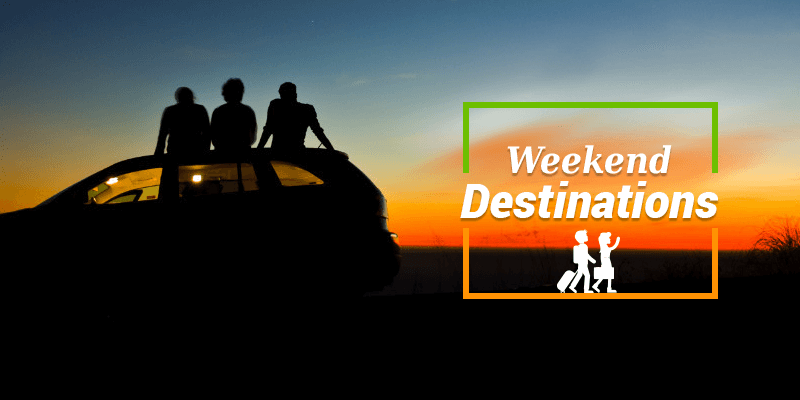 Why fret, when there are so many quick weekend getaways near your city! The upcoming weekend is perfect for a quick holiday, so why waste its potential sitting within your home and following the same routine. We have an amazing list of weekend destinations from the metropolitans of India. This valley is an unexplored gem of Himachal Pradesh. 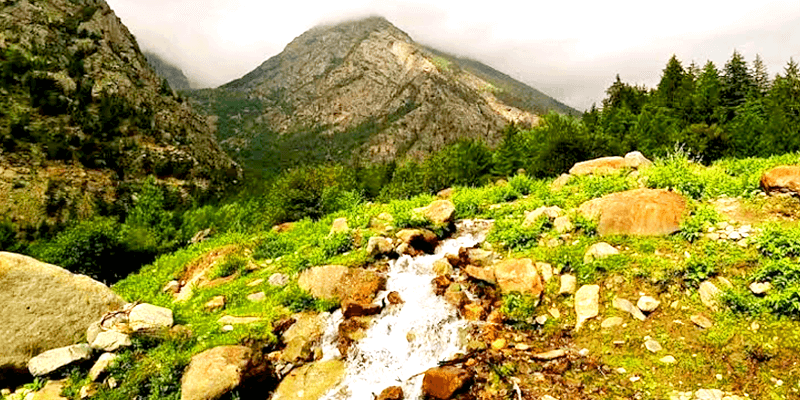 Situated in the Kinnaur district, Sangla valley is a short drive away from Shimla. Many buses and private cabs are available from Shimla, which would transport you to the beautiful Sangla. The valley is dotted with quaint villages, orchards, dense trees and snow-capped mountain. 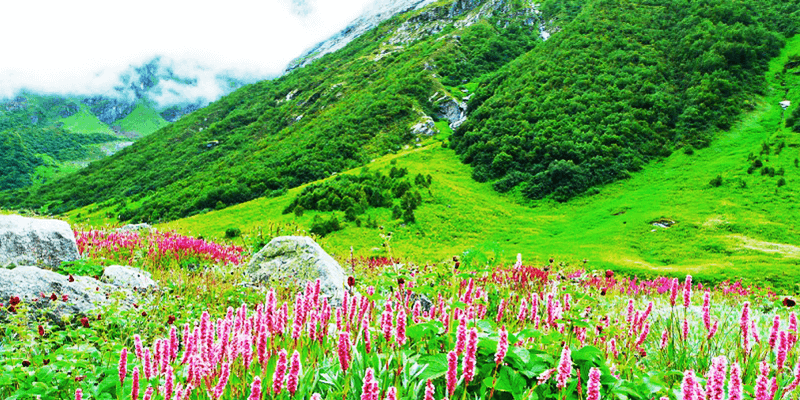 If you want to experience the grand beauty of nature then Valley of Flowers National Park in Uttarakhand is your perfect wekend destination. Bordered by Nepal and Tibet, Valley of Flowers teems with more than 300 species of flowers (out of which many are endangered) and medicinal plants. The valley is strewn with myriad patches of colours due to the variety of flowers that bloom here. 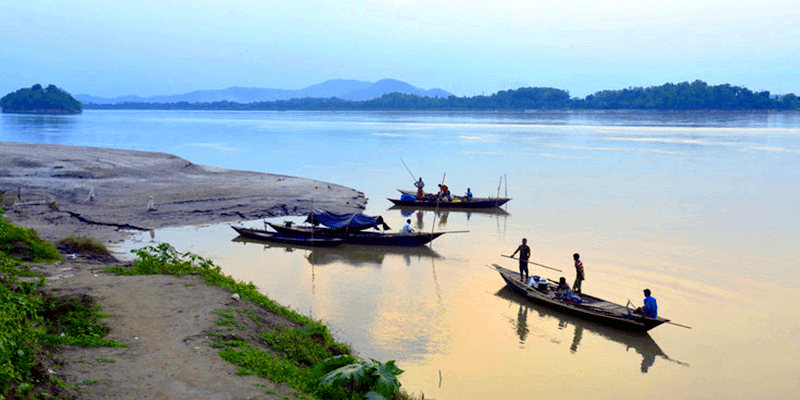 If you want to immerse yourself in Bengal’s glorious history, scenic beauty and rustic charm then Deul (near Bolpur) is the perfect weekend destination for you. This small town takes you back hrough the ages and confronts you with a piece of age-old Bengal. From the 300-year-old temple to the nature walks through unexplored forests, Deul will amaze you in many ways. Travelling to the hills has a charm of its own. 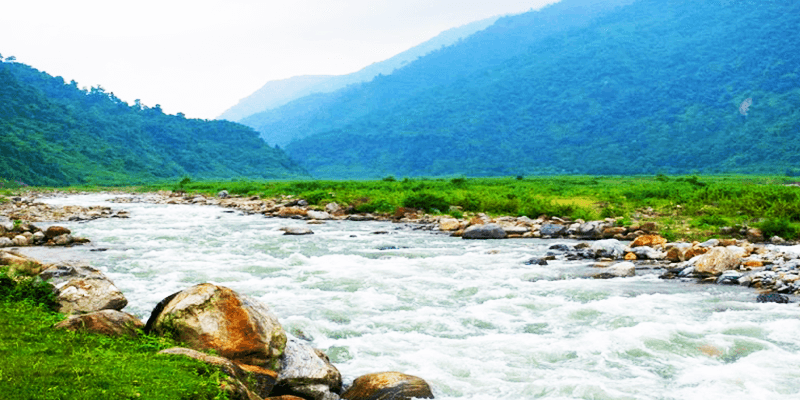 North Bengal presents a range of attractive options for the travelers. Explore those picturesque little villages or those beautiful roads lined with trees and occasionally you might pass through clouds too! The Doars region has its own wildlife treats for you. Must visit places: Samsing, Suntaleykhola, Gajoldoba, Coronation Bridge and Dudhia. Only a short drive away from Mumbai is an an ideal weekend getaway. Yes, we are talking about Khopoli! Situated at the base of the Sahyadri Mountains, Khopoli is blessed with great natural beauty. Lakes, waterfalls, scenic landscape and architecturally wondrous temples – this small city has it all. 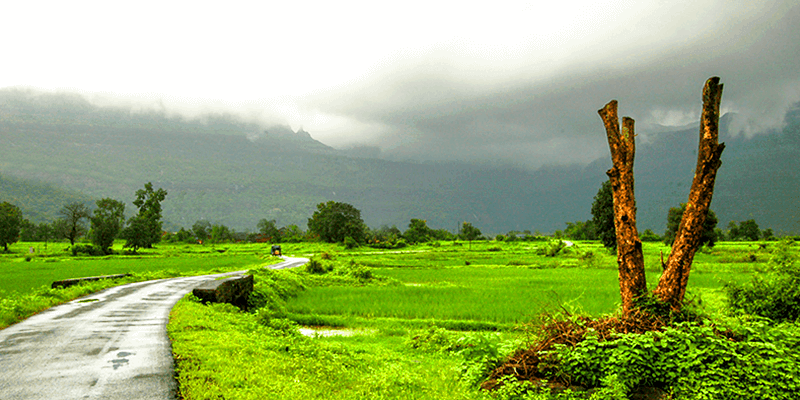 Nestled in the Western Ghats, Kamshet is a hill station with a countryside feel. The rich flora, peaceful lakes and rolling hills make it a perfect place to unwind and rejuvenate yourself. Kamshet is also among the top 10 adventurous places of India! 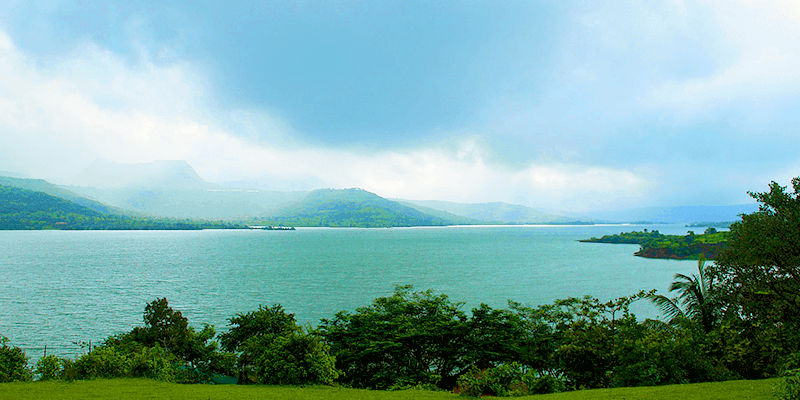 Must vist places: Vadivali Lake, Dhak Bahiri Fort,Rajmachi, Duke’s Nose and Manikgad. Tranquebar is a small coastal Tamil town, with a Dutch name, is known for its heritage buildings, architecture and association with history. The beach alongside the village is unexplored. The village is often lovingly called “village of dancing waves”. 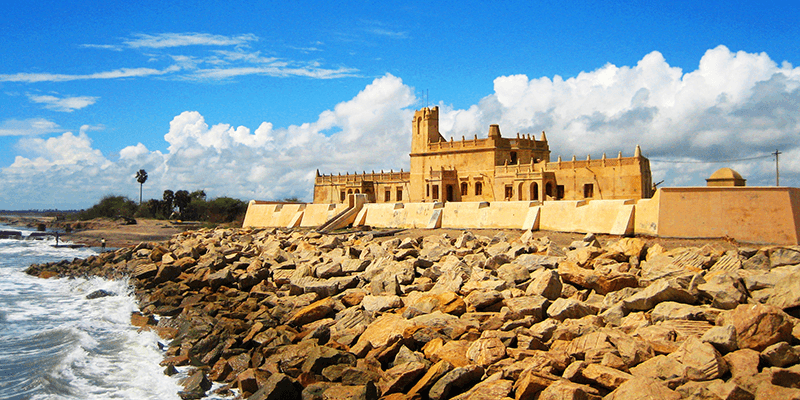 A visit to Tranquebar will etch a picture of Dutch colonial rule. 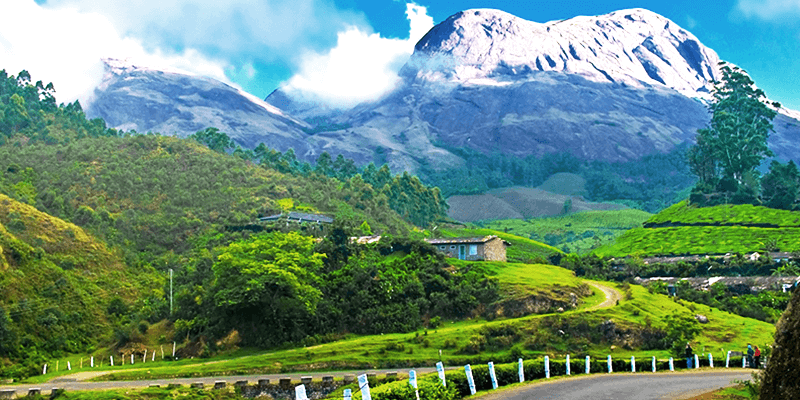 Perched in the south–west of Kerala’s Idukki district, Munnar in Kerala is a quaint little hill station. Situated in the Western Ghats mountain range at the confluence of three rivers (Mudhirapuzha, Nallathanni and the Kundali), late winters in Munnar are remarkable. The town is blessed with many remarkable waterfalls apart from lakes, lush environs and forests that offer some spectacular flora. Munnar tourist places: Attukal Waterfalls, Mattupetty Lake, Eravikulam National Park, Valara Waterfalls, Lakkam Waterfalls, Rajamala Wildlife Sanctuary and Marayoor.